Hello dears! It's Veterans day and although it's a bank holiday, I have to work. For those who have a day off, please enjoy it for me. LO is off as well, and she'll be spending the day at DH's work. I wish I could take her into my office but that's a recipe for disaster! 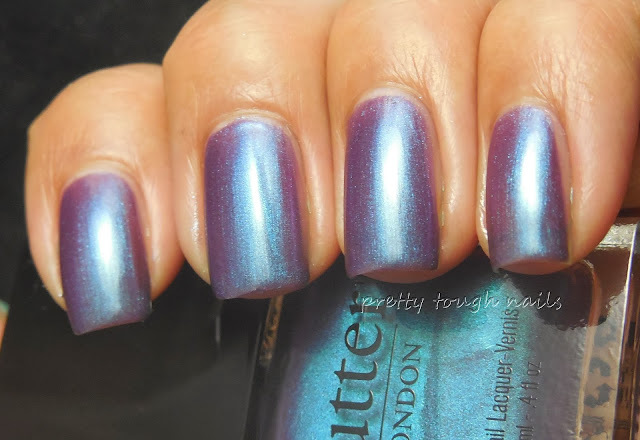 I managed to snag Butter London Petrol Topcoat during a recent sale haul and I'm happy to share some of those swatches with you tonight. 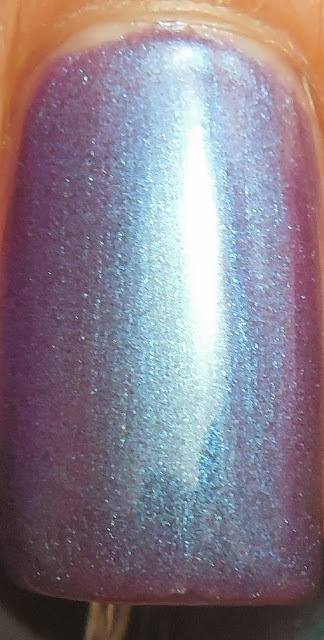 I've been intrigued by this shade ever since I saw it was released, especially when described as opalescent sheen of oil reflected in rain(!!!). It's a shimmery turquoise to purple shifting "overcoat," meaning that it's sheer enough to wear over another color yet opaque enough to build up on its own. I was able to use four coats here with minimal difficulty with application. 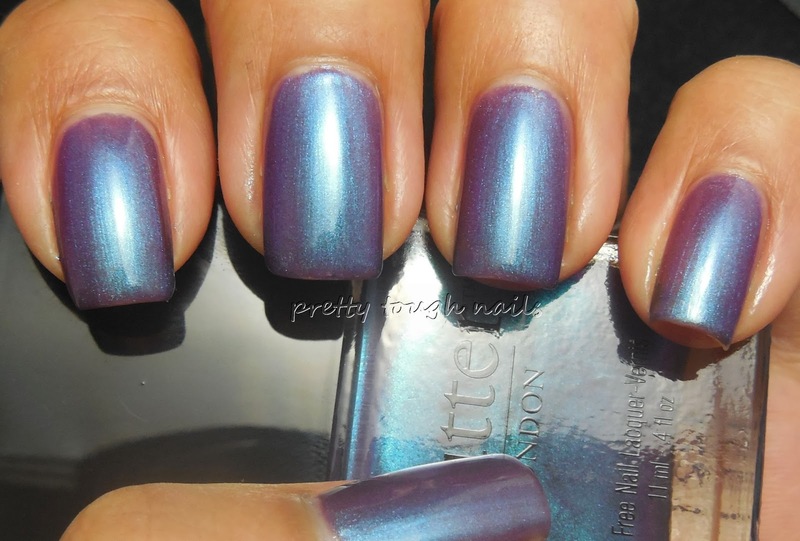 The formula was thinner than what I'm accustomed to for Butter London, but as a topcoat it had a perfect consistency. No topcoat in these pics. True to its description, it really does look what I think an oil slick would look like with rain reflecting off of it. The duochrome properties are really prominent even in low light, and I imagine if worn over black or a dark base color, the colors would probably pop a lot more. I do however, feel that I've seen this color before, but I can't think of any exact dupes. Sally Hansen Grape Going is more purple, Color Club Port-Folio has more green do it, and Finger Paints Itsy Bitsy Spider is a lighter version. If you like duochromes and can nab this during a sale, I would recommend it because it beautiful to look at and seems versatile if used as an overcoat. I think so too! my coworker was disappointed when I removed this one. rubs hands in glee... yes my pretty, you might have to order this one!! Elixir Lacquer Bad Kitty is a dupe! You're right, it looks almost dead on!! Thanks for the suggestion!